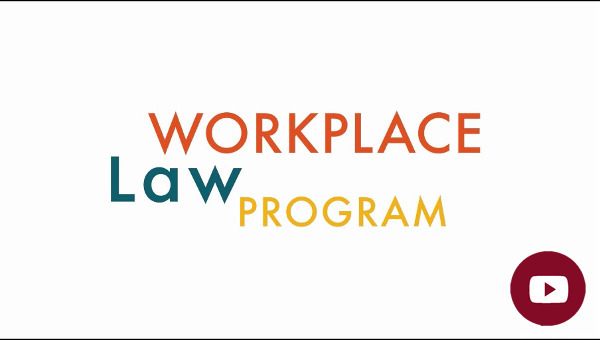 Workplace Law is an area of paramount importance to both businesses and individuals, particularly in the current economy. Our well-rounded faculty, experiential learning opportunities, diverse course offerings and connections to the legal community provide students with the knowledge and skills necessary to enter this dynamic field. DU Sturm College of Law has more expertise in workplace law than almost any other law school in the country. Our seven full-time faculty bring to the classroom diverse legal practice backgrounds, ranging from large-firm defense work, to plaintiffs’ class action litigation, to in-house counsel experience. They have published scholarly articles on cutting-edge issues and have produced three workplace law casebooks adopted by law schools across the country. Through our clinical programs, students can represent clients in civil litigation, wage and hour disputes or employment mediation. The legal externship program provides unparalleled opportunities for students to gain experience in a variety of legal settings such as government agencies, private practice and corporate and public interest firms. The program also offers several capstone courses in which students gain substantive knowledge and practical skills through hands-on, simulated client representation. The curriculum is built from a base of core courses in wrongful termination law, employment discrimination law and the law of union/management relations. From there, students can take advantage of advanced offerings, including employee benefits law, sports law, public sector labor law, wage and hour law and clinical practice. In addition, we offer a certificate program, which offers in-depth study in employment and labor law, and a marketable credential that demonstrates commitment to this area of practice. Through program events, students have the opportunity to interact with faculty, alumni and local practitioners on a regular basis. If you have any questions about our program, please feel free to contact us.